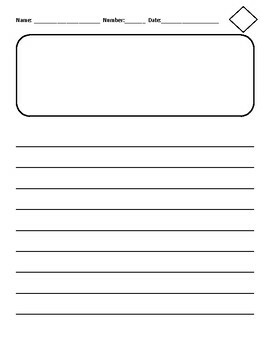 This includes 2 templates for student writing. 1 page has a small box for student drawings. One page is just writing lines. The spaces are just under 3/4 of an inch, so they're best suited for 2nd or 3rd grade, but could be used for other grades as well. 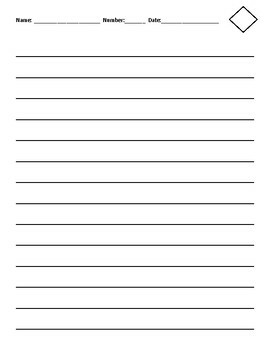 Each template also has a diamond shape at the top right corner where students can write the page number inf they write more than one page.